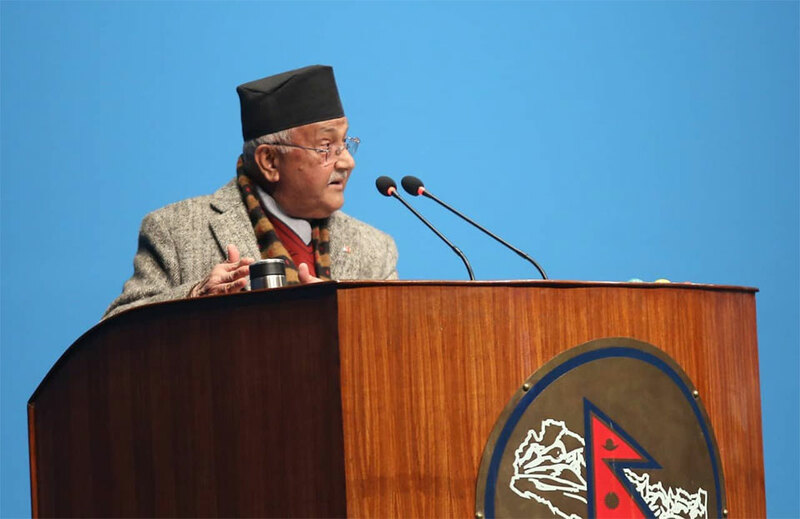 KATHMANDU, Jan 18: Prime Minister KP Sharma Oli has said that Nepali nationals cannot stash away money in foreign banks against the law of the country. Answering the questions raised by lawmakers on the money deposited by Nepali people in Swiss Bank in the parliament on Friday, Prime Minister Oli said the government will investigate it and bring out the facts. The Center for Investigative Journalism (CIJ) on Wednesday revealed that as many as 55 Nepali people have stashed away Rs 52,072,773,000 (52 billon, 72 million, 773 thousand) in Swiss banks. Lawmaker Khagaraj Adhikari demanded with the government to investigate the money deposited illegally by Nepali people in the Swiss Bank. Similarly, Nepali Congress lawmaker Dilendra Prasad Badu asked Prime Minister Oli how the government is preparing to inquire the deposit during his upcoming visit to Switzerland. Prime Minister Oli said that the government is committed for good governance and development, transparency and ending corruption. Saying that some of the people have already refuted about the money deposited in Swiss bank, Prime Minister Oli asserted that depositing money in the foreign banks illegally breaches Nepali law and is not tolerable. The CIJ report has stated that Nepali depositors have already received Rs 774,114,000 in interest from their deposits. Nepali law restricts overseas investment.